Balsamic Garlic Chicken has become one of my family’s favorite dinners. And although I love the simplicity, my family loves the taste! And the love isn’t just limited to my family, this recipe is one of the most popular Dinner Daily recipes of all time. With the Dinner Daily, you can learn and add recipes to your regular rotation while adding new delicious meals anytime you like. Our “Favorites” option allows you to save favorite recipes and swap them into your weekly meal plan whenever you’ve got a craving. 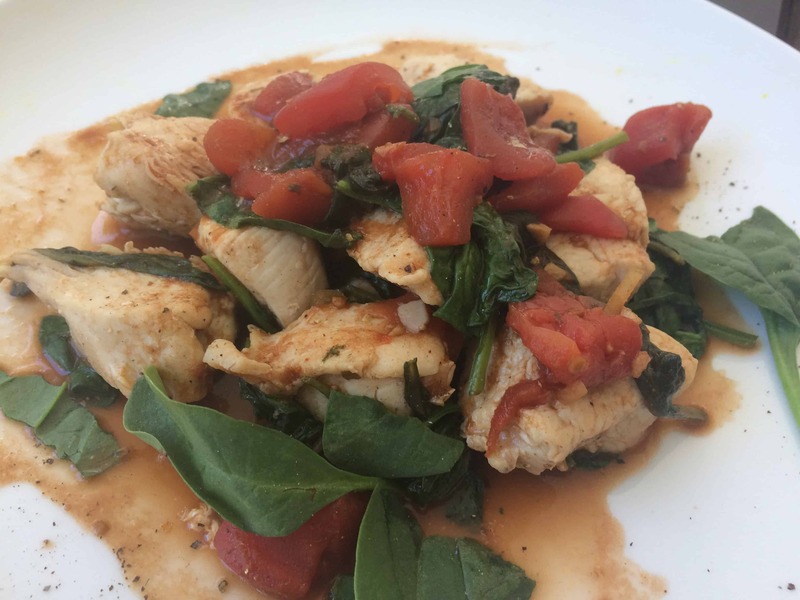 In the meantime, enjoy this Easy Balsamic Chicken this week! Cut chicken into large pieces & season with salt & pepper. Heat oil in large skillet on medium heat. Add chicken, cook until browned and cooked through, 10-12 minutes. Remove & keep warm. Add garlic to pan, cook 30 seconds. Add remaining ingredients, EXCEPT spinach. Cook 5 minutes until sauce is slightly thickened, scraping up bits on bottom of pan. Add spinach to skillet & cook until just wilted. Serve sauce over chicken. Looking for ways to make your weeknight dinners easier? Learn More about The Dinner Daily!